Also wrestled as Carl Brown and Louie Murr. Patsy Cardiff on behalf of Moth refused to accept the first choice referee, Prof. C.O. Duplessis. Cannon forfeit the match after he lost the first fall. He disputed the fall, then demanded a new referee. When a new referee was not appointed he refused to continue. Moth is listed as Graeco-Roman Champion. Leading it up to the event it said that it would be a prime sporting attraction. McLaughlin trained in the Minneapolis Gymnasium leading up to the match. 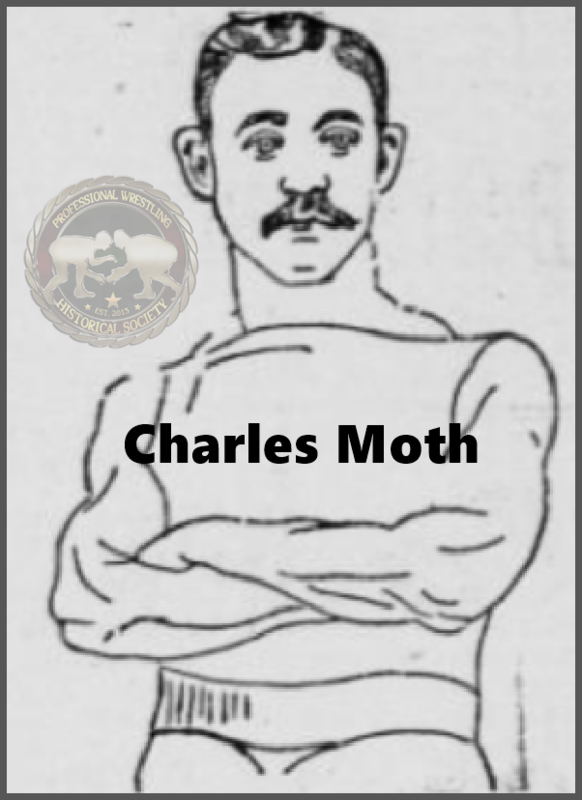 Moth trained in St. Paul. There was much debate over the referee. Moth did not want Duplessis to be the referee as McLaughlin had trained with him. It was decided the referee would be either Charles A. Williams or Mr. Boardman. Moth won a coin toss to decide he chose Williams, it was then found Williams was not present and neither was Boardman, so Duplessis had to officiate. The second fall was disputed by half of the audience and Moth, he claimed he had got the fall on McLaughlin, not McLaughlin on him. Moth then refused to continue stating that this is why he did not want this referee and he would not continue. Possibly happened in early August. This happeend sometime prior to August 7, 1900. The Battle Royal was contested under the rules of the "last man up" would be the winner. Ondler eliminated Mellinger first, then he and Brown worked together to eliminate Bellinger before Ondler disposed of Brown too.